Despite an average start of the season in domestic league, SGS Ramat Hasharon beat ZNTU-ZAB Zaporozhye at Round 3 of EHF Challenge Cup. 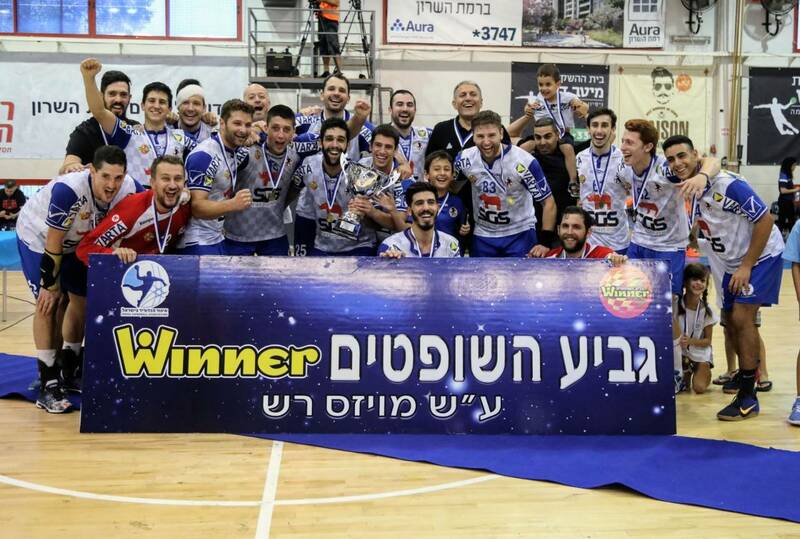 The bad start for the handball week was on Monday when H.C Beer Sheba came to Ramat Hasharon. At the end of dramatic 60 minutes, The Serbian right back of Beer Sheba, scored the winning goal, 25:24, that put Ramat Hasharon in the 8th place. On Friday, they host the “away” match with Zaporozhye from the 2nd place in the Ukrainian league. The very bad match ended with 27:32 to ZNTU-ZAB and some hopes for Saturday. 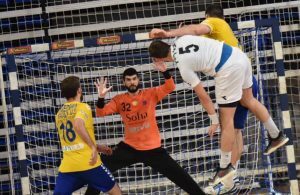 In the second match, They made a fantastic match with the Bosnian goalkeeper, Adam Savic, won by 33:25 (16:12) and proceed to the 1/16 finals. Also in midweek: Maccabi Rishon LeZion collected another easy win with 30:22 on the last place, Hapoel Ramat Gan. They finished the European participation on Sunday with an amazing win on Saint-Raphael. They made a big suprise in France with 27:30 but it was not enough because of the 36:29 lose to Saint-Raphael in the first match. Maccabi’s president, Raul Srugo put the responsibility on the referee’s decisions. H.C Holon lost to Ironi Rehovot 25:26 with a late winner by Amir Schneider and In two matches in Luxembourg with HC Berchem they lost 28:33 and 29:33. That was the end of Holon’s way in The Challenge Cup. The champions and Cup Holders came angry after the bad performance in Herzliya and showed good signs with a great 60 minutes with H.C Ness Ziona that looked very weak. In the half time it was 24:12 already and the 2nd half “garbage time” ended with 39:27. Hapoel Ashdod stayed on top with 29:21 on Maccabi Kiryat Motzkin. Ashdod’s goalkeepers, the Serbian Tomislav Stojkovic and the Israeli Tom Shem Tov, Were both very solid. Bnei Herzilya stayed unstable and lost to Hapoel Kiryat Ono 34:31. Herzliya took a 7:2 lead in the beginning but with the team’s very poor defense this season – It is not surprising that they concede 34 goals from the surprising Kiryat Ono’s team.